HSR is proud to host our second Nicaraguan guest residency of the Fall! 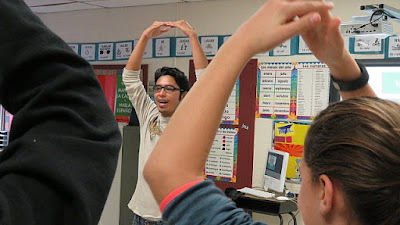 During the first week of December, Planting Hope Nicaraguan Volunteer/Delegation Coordinator Yasser Hernandez Perez presents a series of cultural exchange classes at Henniker Community School and John Stark Regional High School! 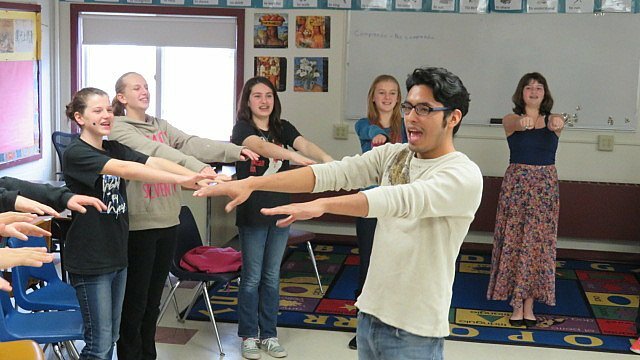 Yasser's Spanish language classes introduce Henniker students to cultures and lifestyles of Nicaragua, and help students practice their Spanish through some fun dancing games. Yasser's visit is made possible by proceeds from sales of HSR Coffee. Patti Osgood posted photos of Yasser's classes at the HCS site.